Wish Farms and Monte Package Company present the sixth annual Strawberry Picking Challenge on February 8th and 9th. 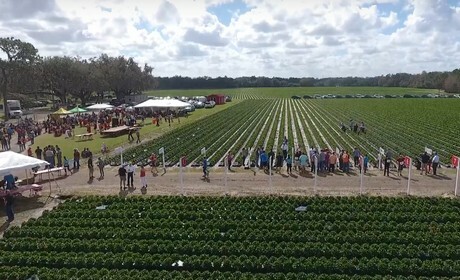 The charity event raises funds for the Redlands Christian Migrant Association, inviting guests out to the Plant City farm for a day of strawberry picking and entertainment. Wish Farms says proceeds from the charity event will benefit the Redlands Christian Migrant Association. More than $428,000 has been donated from this event in the past five years.